There has been a great deal of chatter in recent years about the “death of the curator.” This opinion is fueled by change in focus of cultural institutions to be more engaged in the audience’s experience, as well as the increasing number of exhibitions and performances that are curated directly by artists and others who have never officially held the title of curator. This shift initiates beliefs that the role of the curator is degraded; since, many acting as curators lack formal training and do not have a full appreciation or knowledge of the art-making process that links an exhibition or performance. But is the role of the curator really dead or is it just evolving? Once a position that glorified specialized knowledge of niche topics, this role is expanding and reaching beyond the walls of institutions. It has grown well beyond the selection and placement of art or artifacts in a space, it has become equally about collaboration, innovation, and empowering the audience. While being knowledgeable of the subject matter is important for the integrity of museum collections and the arts, it’s only one slice of the pie for today’s curators. Why is the role of the curator changing? There are many factors that have lead to the evolution of the curatorial role in recent years – an emphasis on education, advances in technology, demographic shifts, and the coming-of-age of the millennial generation – to name a few. These changes have had two results that are affecting the role of the curator and address adaptive challenges that many in the culture sector are facing. The first is the way in which audiences are choosing to engage with arts and culture and the second is the demand on cultural institutions to reconsider their role in their community. Audiences have become more selective in how they choose to spend their leisure time, as choices have increased. The cultural sector has more competition for the attention of its audience then ever before with the expansion of entertainment sources, such as: movies that can be rented directly from a cable provider, and the expansions of the Internet, social media, and gaming. Today’s curator must modify traditionally scholarly approaches and adapt in order to capture the attention of their audience by incorporating more entertaining and engaging concepts. Other entertainment-based businesses have embraced this notion in various ways such as incorporating live tweeting during a TV show, customized iPad apps, and interactive games into their model. Today’s cultural patrons don’t want to be lectured; they want to participate. As many audience studies have pointed out in recent years, people want to emotionally engage with the exhibitions or performances and share these experiences with others. This is the byproduct of social media like Facebook, Twitter, and YouTube where people can instantly share almost anything with the rest of the Internet world. This has been embraced at many museums and art centers in order to help audiences feel welcomed, have an enjoyable experience, and develop return visitors. Curators are a critical part of creating this emotional connection because they produce the content that is the soul of the museum, which is what people will either connect with and become invested in or it will send them away disappointed – it all depends on how the curator chooses to present the topic and engage the audience. The evolving role of the curator also includes considering the civic role of cultural institutions in their communities. Some are considering how to become more engaged with the needs and interests of the neighborhoods and cities that surround their building. This is another way that cultural intuitions are working to stay relevant. Animating Democracy, a program of Americans for the Arts, published a study that revealed how important the role of cultural institutions are in finding solutions to challenges facing communities. By collaborating and connecting with other organizations and community leaders, these institutions can push boundaries, create dialogue, and fertilize new ideas. As the content creators that communicate to and with audiences, it falls to the curator to be the liaison with these outside groups. Through these conversations a curator can uncover what topics are most important in the community and help to address and support those ideas through the institution. Not only will this help build audiences, but also it will break down silos in the community and revolutionize the way curators select and produce shows so that they will have a greater impact. What does this new curator look like? Traditionally, curators were required to have a terminal degree (a Ph.D.) that allowed them to specialize in a particular area. This specialization came with a great deal of research and publishing typically done as a solo endeavor. The exhibitions they developed where based on these specialties, whether or not it interested the organization’s visitors. Alan Brown, a principal at the arts and culture consulting company WolfBrown, and Steven Tepper, associate director of the Curb Center for Art, Enterprise, and Public Policy and associate professor in the department of sociology at Vanderbilt University, co-wrote the paper “Placing the Arts at the Heart of the Creative Campus,” which is a report on interdisciplinary work conducted by a group of university art presenters as well as an endorsement for how art-based interdisciplinary inquiry can benefit arts and culture in the future. In this report Brown and Tepper state that the 21st century curator will be “called upon not only to select and organize arts programs, but to diagnose need in their communities, seek out new and unusual settings for their work, forge partnerships with a wide array of disparate stakeholders, and, in some cases, cede a certain amount of artistic control in order to gain broader impact.” If we use this definition then the days of obtaining a curatorial position based strictly on specialized knowledge are over. Curators need to be open, curious, communicative, and collaborative. They are sociologists and anthropologists, and business minded individuals and organizers in the entertainment sector as much as they are historians. The breadth of this new job description does seem a bit overwhelming – how can one person put on all of these hats at once? How are successful curators doing this? 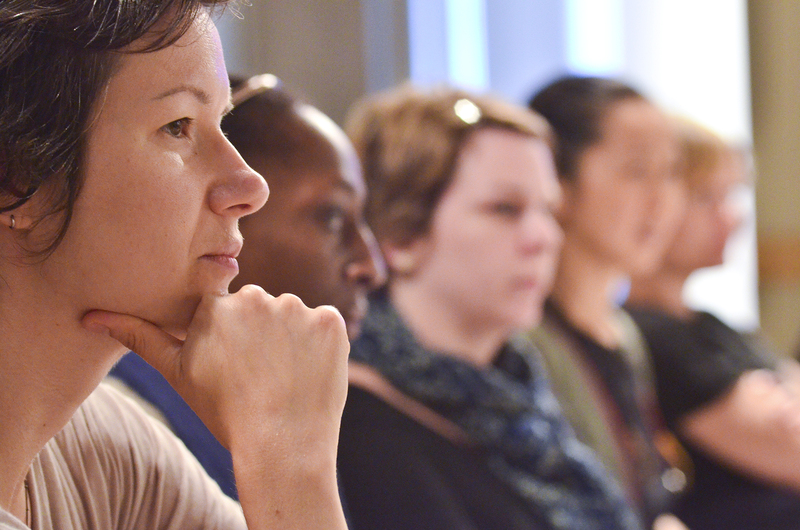 One way that some current and aspiring curators are proactively learning to change how they do their work is through educational programs that have been designed to train curators to look differently at program development such as the Institute for Curatorial Practice in Performance (ICPP) at Wesleyan University. This graduate-level certificate program was designed to expand the participating students’ aesthetic perspective, deepen their familiarity with the range of contemporary performing artists, and develop entrepreneurial skills. 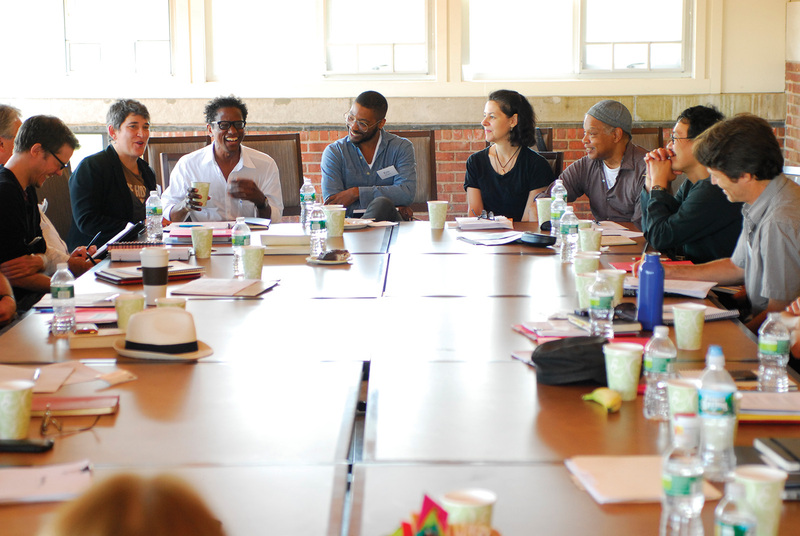 The instructors are artists, scholars, curators, cultural leaders, writers, and theorists. The goal of the program is to not only provide the students with strong theory and academic knowledge, but also to spark innovation and collaboration, and challenge them to think about their role beyond the confines of their institutions. Other curators are learning on the job through necessity. This can be seen in the way that many new exhibitions include audience engagement tools, collaborate with other institutions, and community members, and address topics of contemporary concern. This is just the natural progression for curators – as the caretakers of our cultural past and present they need to evolve in order to communicate their knowledge and connect with our ever-changing society. For those who want to become curators, stop worrying that your career goals are going the way of the dinosaurs. The Bureau of Labor Statistics forecasted that employment opportunities for curators, museum technicians, and conservators will grow 16 percent between 2010 to 2020. People still want to go to museums and attend gallery shows and performances; they just want to do it in a way they find stimulating and interesting. The role of the curator isn’t dying, just the out-of-date definition is. The idea that only a small, select group of people can determine the best way of displaying and contextualizing artistic programming is patronizing. Today’s curators should be informed and have expertise, but they should also be educators and entertainers. Contemporary museum and arts audiences have options when it comes to their entertainment and it is up to cultural organizations to make sure their programming evolves and stays competitive, otherwise they run the risk of going extinct. The 21st century curator can lead the way to change that will keep audiences coming back and bring in new patrons. While there are many curators and cultural institutions that are working in this way, I have selected two programmers and one institution that I believe represent this new form of curation. Sandra Jackson-Dumont, the Deputy Director of Education and Public Programs/Adjunct Curator at the Seattle Art Museum (SAM), describes the overarching goal of her position as “curating experiences.” The crowning achievement of her work at SAM thus far is Remix, described by SAM as “a late-night creative explosion” that includes activities, performance, music, dancing, DJs, fashion, and just about any other culturally related category one can think of. Since her arrival Jackson-Dumont has turned this average cocktail party into a major must-do event that merges social activities with artmaking in what she called “covert curriculum.”  Not only does this event get new people through their doors, but it encourages them to curate their own experience by providing attendees with a long list of the night’s activities and allowing them to decide what they want to attend. Jaamil Olawale Kosoko, Producing Associate for Humanities and Engagement at New York Live Arts, is reconsidering how performance is curated from the perspective of the audience. He told The Dance Journal, “I don’t think one can enter this field without considering the audience. The viewer is the life-blood of the work.” He treats each performance as if it has a relationship with the audience, which needs to be developed and nurtured to reach its full potential. With this purview, audiences are not just butts-in-the-seats or figures in the revenue column, they are as critical to the success of a work as marketing and ticket sales. The audience is allowed to be engaged and feel valued. The Walker Art Center is experimenting with ways to engage a younger audience through their program the Walker Art Center Teen Art Council (WACTAC). This program was designed to rethink how the next generation engages with the arts. It is allowing local teenagers to “work collaboratively with each other, Walker staff, and artists to produce and market public programs as well as engage and represent their peers within/outside of the Walker Art Center.” These teenagers are thinking like curators and acting like ambassadors. While they may not have a doctoral degree in contemporary art, they are developing programming that is valued by the museum. WACTAC is providing these teens with art education, job training and mentoring and a place to be creative and experiment with ideas, while the museum is creating a new generation of art appreciators and developing program to access a demographic that may never have otherwise come to their center. It does take a special set of skill and knowledge to put together an exhibition or a performance series and curators should be recognized for the work they have done to obtain that level of expertise, but their efforts shouldn’t stop there. The era of passive museum experiences focused on academic topics are on their way out and this is why the phrase “death of the curator” has entered into the lingo of the cultural world. Today’s curators will need to take a more holistic approach to their programming, listen to what the community want to discuss, experiment with new ways of engagement and give audience something more to take home then just a program or catalog. In a way, these new curators are going to teach their audience how to be their own curators – curating their own experiences in ways that work best for them. Erinn Roos-Brown is the Program Manager for the Creative Campus Initiative at Wesleyan University’s Center for the Arts in Middletown, CT where she oversees the program’s mission to elevate the place of art, artists, and the artistic process at Wesleyan. The program strives to strengthen teaching, student learning, artmaking and cross-disciplinary exchange and inquiry innovatively. Her previous employment includes Real Art Ways in Hartford, CT, Cultural Tourism DC in Washington DC, and The New-York Historical Society in New York City. 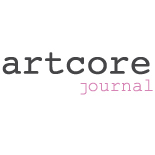 This entry was posted on July 21, 2013 by artcore journal in Volume 2, Issue 1: Women and tagged Creative Campus Initiative at Wesleyan University's Center for the Arts, curator, Erinn Roos-Brown, Jaamil Olawale Kosoko, New York Live Arts, Sandra Jackson-Dumont.